Omega Levine and Sam de Jong formed New Zealand's 'next gen' Parachute Band in 2007 picking up from where the original Parachute Band (1997–2006) had left off. They built a team of like-hearted musicians for one purpose: to translate an ancient message into sounds that could be understood on city streets. To date the 'next gen' Parachute Band have released two albums: 'Roadmaps & Revelations' and 'Technicolour' which have had songs covered by Casting Crowns (Mercy) and Lincoln Brewster (I Belong To You). Their third album 'Love Without Measure' features more great songwriting and pulsing drums angular guitars and odd synthbreakdowns that their fans have come to expect. 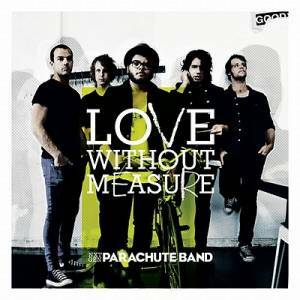 Love Without Measure by Parachute Band was published by Provident in February 2011 and is our 655th best seller. The ISBN for Love Without Measure is 0000768477021. Be the first to review Love Without Measure! Got a question? No problem! Just click here to ask us about Love Without Measure.